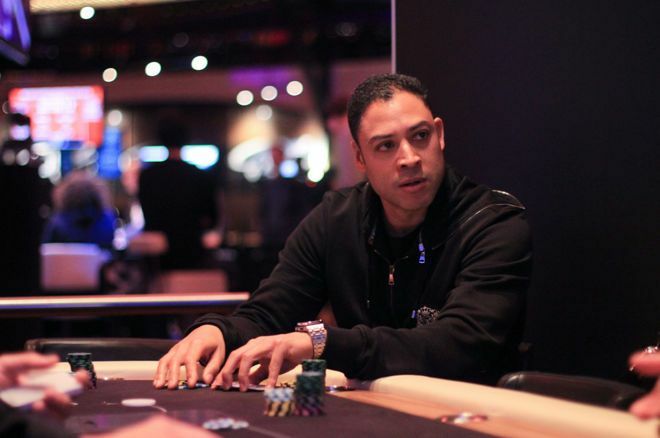 Dutch high stakes player @clydetf leads the @WSOPC Rotterdam €3,500 High Roller after Day 1. Clyde Tjauw Foe has bagged the chip lead in the 2018 WSOP International Circuit Holland Casino Rotterdam €3,500 High Roller. Tjauw Foe ended up with 168,000 out of his initial 50,000. Right behind him are Haci Bayram, with 161,100, and Michal Mrakes, with 137,500. There are 17 players left, and registration is still open until the start of Day 2, at 1 p.m. local time. The day started slowly with 13 players in the tournament. That number had grown to thirty entries by the end of the first day. As level four of the tournament started, 100/200 with a running ante of 25, the players asked the tournament staff to alter the structure so they could play with a big blind ante. All the players in the tournament agreed, and the tournament staff listened and introduced the big blind ante. The tournament allowed for reentries and plenty of players made use of that option. Tjauw Foe, Bayram, and Zhong Chen all bought in multiple times. Chen, who finished seventh for €136,700 in the EPT Barcelona €10,000 High Roller just a couple of days ago, bought in for a total of three bullets but wasn’t able to end the day with chips. Other players that didn’t make it to Day 2 were Tobias Peters, Luuk Gieles, defending champion Hakim Zoufri, and Marijn van Puffelen. Clyde Tjauw Foe ended up with the chip lead after winning multiple big pots. With about 30 minutes left, Tjauw Foe sent Van Puffelen home. Van Puffelen opened the action with a raise, and he moved all in after Tjauw Foe had three-bet him. Van Puffelen was holding a pair of eights and ran into the pocket aces of Tjauw Foe. The board didn’t bring any help for Van Puffelen who was eliminated right before the end of Day 1. Bracelet winner Ronald Keijzer through to Day 2 with 84,600 in chips. Ronald Keijzer did make it through to Day 2. Keijzer had a great summer after he won a bracelet in Event #69: $3,000 Pot-Limit Omaha 6-Handed at the World Series of Poker in Las Vegas. The bracelet winner bagged 84,600. 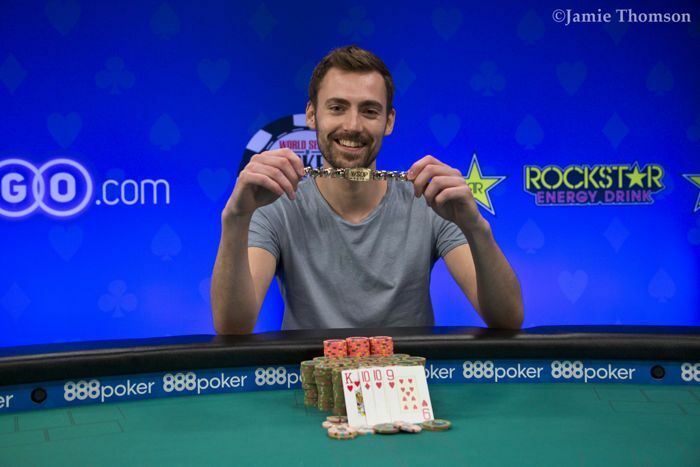 Keijzer isn’t the only WSOP bracelet winner left in the field. He is joined by double bracelet winner Mark Radoja (75,000), and WSOPE bracelet winner Albert Hoekendijk (132,200). Others that made it through to Day 2 of the €3,500 High Roller include Farid Chati (76,200), Alex van der Werf (72,900), and Kevin Paque (45,500). Day 2 of the tournament will continue Tuesday, September 4, at 1 p.m. local time. Players are still able the register for the tournament before play starts and will get a stack of 50,000, worth 25 big blinds in the first level of the day. PokerNews will be on site to report the action until a winner is crowned in Holland Casino Rotterdam. Check out the WSOPC Rotterdam Live Reporting.